Spring announced its arrival, winter bid adieu, and summer is almost knocking at the doors. Holi(Indian Festival of colours ) is just few days away, and I am as usual grumpy and lethargic. No changes in SEASON of my MOOD. The diet regime seems to be improper, leaving me dull and tired whole day. I need to breakup my meals into more sensible way and include some more antioxidants and proteins too. Of late we had been socializing more, that ends up in many unwanted calories in the body and the fight to get rid of those extra calories is proving to be strenuous. Coming to Recipe of the day, it has nothing to do with diet food or wonder milkshakes. Instead it has got something to do with leftovers..yeah, leftover rotis/phulkas. 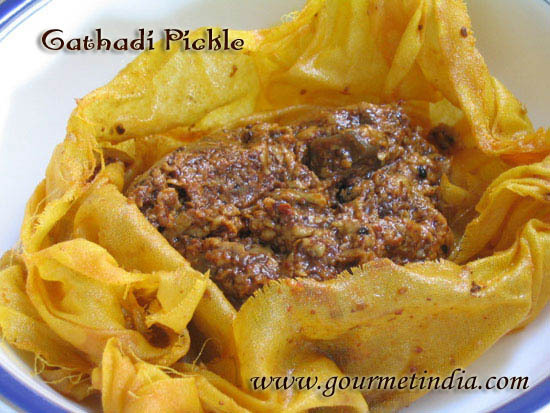 This is one very popular way of cooking with some leftover rotis , turning those into tangy, spicy morsels . And its so simple to cook, with just few basic ingredients. In a kadai or frying pan, take 1 tsp of oil, heat it, add chopped garlic, saute till it changes colour, add curry leaves and mustard seeds and let the seeds splutter. Quickly add grated tomatoes, chillies, salt, turmeric and coriander powder and fry on high heat till the raw smell of tomatoes go away. Add about a cup and half or more of water. Depending upon how OLD are your Rotis, the quantity of water required differs.The more stale (please do not use rotis more than a day old, that too if you have stored it well) ) and stiff the rotis, the more amount of water required.The softer and fresh the rotis, lesser the water quantity. As soon as the mixture starts bubbling, tear the rotis into bite size pieces, and add to the boiling mixture. Add coriander leaves and let it cook on medium to low flame.Go with your instincts as you watch the pieces of rotis, get dunked into water.If you feel that there isn't enough water in curry to soften the chapati, just cook the mixture on lowest flame, with lid put on the pan. Cook till all the water is dried up .Garnish with some more coriander and a drizzle of freshly squeezed lemon juice adds the holy tang to the yummy and easy to cook Seyal phulka.Enjoy ! Wow! 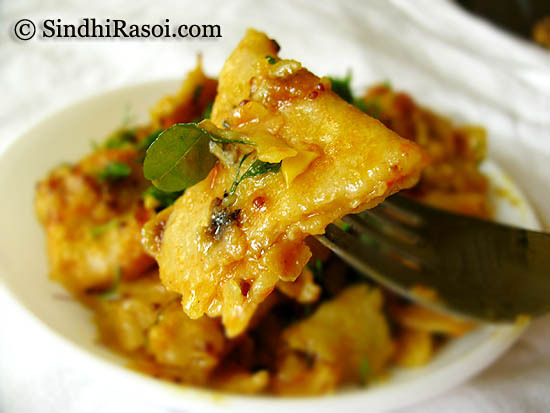 What a quick and easy recipe to use leftover roti/phulka! The simple steps to follow to make the dish of Seyal Phulka will be of great benefit to many of your readers. 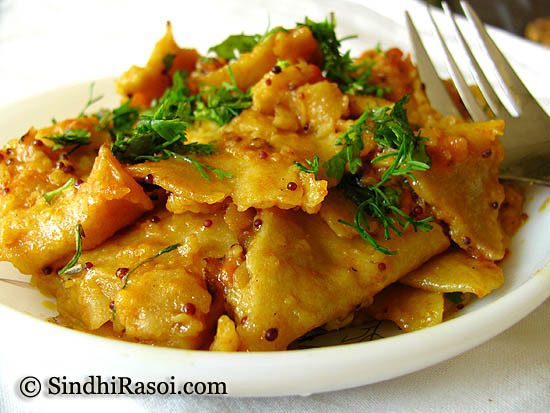 In the busy schedule, making the dish is one of the best way to appease the hunger pangs! Recently, also have tried meals Kit from iChef.in, the kit makes cooking a lot easier and saves lot of time. Can I add potatoes in this? This looks like a menu item in a gourmet restaurant. 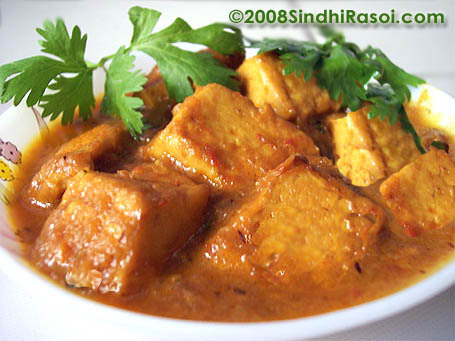 Surely it belongs on the menu of a high end restaurant serving Sindhi food. Great breakfast… just as muma cooks as ever…. I love your posts. 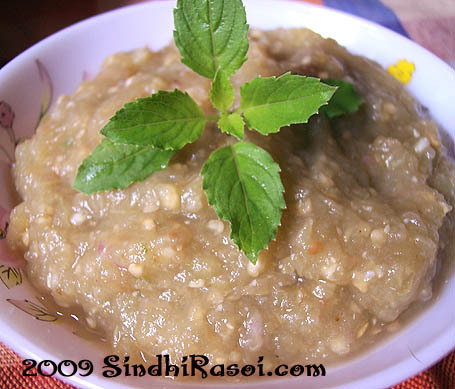 Most of the recipes are just like my mom cooks at home: authentic sindhi recipes. I dont have to wait till India timing to call my mom and ask for the recipes. Nice way to take care of the leftover rotis…have to try this one soon. Wow that sounds wonderful … I’m drooling over the beautiful click !!! dada- i am actually citizen of dhulia, we used to eat there, we migrated to chennai in 1970.after that due to change of places we forgot. after seeing in this web – we remembered it. and made . its wonderful. we now puposely make more phulka to make – in enening seyal phulka . we used to call phulkan ji bhaji in dhulia. thanks . any be proud to b sindhi. 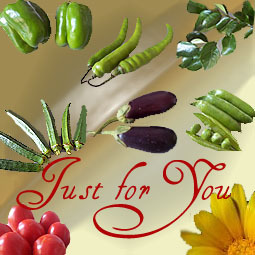 Do send it in for the Magic Bullet recipe contest/giveaway being hosted at my blog. Your recipe could win you a Free Magic Bullet To Go! One drink I have discovered is a smoothie made of skimmed milk and powdered egg white. This product is like dry non-fat milk powder, completely sterile, tasteless and odorless. Its protein value to human systems is very high. So in a mixie/blender, if you place 2-4 cups non-fat milk, 1 tablespoon eggwhite powder, and frozen fruit like kharbuza/canteloupe, frozen strawberries, you can make a low-calorie, hi-protein smoothie rich in nutrients. It fills you up and is cool & refreshing. OR, you can use fresh fruit + ice cubes, if you have not pre-frozen your own fruit in day to day small batches, just for your daily smoothie or 2. You can sweeten it a little bit with a mix of sucralose and sugar alcohol like xylitol. Let hubby dearest find you a source for the sugar alcohol that is an artificial sweetener. TAGATOSE is also another natural sugar that is not metabolized by the body. It is a left-handed sugar and cannot be broken down by OUR enzymes that work only on right-handed sugars: d-glucose = dextrose i.e. right-handed, sucrose etc. Tagatose is very safe as it is a natural sugar found in milk. We cannot digest it BUT bacteria in our gut CAN. Therefore, we must consume only a little tagatose, although for health reasons we could have made it a perfect substitute for sucrose. Since it enters the gut unchanged, bacteria feast greedily on it, producing huge quantities of gas as THEIR fermentation product. Excessive tagatose therefore causes diarrhea as this gas builds up, NOT because the sugar is unsafe. Have one smoothie/shake for elevenses, and another another around teatime, when it is hot outside and people generally want to munch on something. The proteins are good in subduing hunger signals. Carbohydrates, and the way we Indians today eat them, merely spike hunger signals and the body has alternate rushes of high blood sugar and steep lows, because it quickly pumps out insulin. Insulin is a growth factor too, and adds to the body’s weight gain. The body senses periodic “famine” and rushes to create fat and store it in “depots” : specific location within the body e.g. within the abdomen, in the buttock region, in the chest region etc. Fat cells themselves are highly active endocrine “glands”, continuously talking with many other regulatory centers. The liver is one of these, and a carbohydrate-rich diet, e.g. aloo+roti, switches on Stearyl saturase enzyme precursors that lead to weight gain. If you drink a protein rich smoothie for elevenses, before lunch, and then one more around teatime [when it is hot outside anyway] incipient hunger pangs will be satisfied more easily. Watch that you do not use sugar-rich fruit like mango. Strawberry is excellent. We are brown people, so BROWN FOODS suit our physiology best. I am not joking here, not really!! Cut out all the WHITES from your diet and see if your lethargy & lack of well-being do not decrease. Since you are a vegetarian, Non-fat milk and egg white is your friend. Even make curry with boiled egg white. Give the yolks to your help, having told them beforehand. it will improve their nutrition and yours. Many modern vegetarians can stretch their principles to include egg white, even if they reject the whole egg. Use egg white powder as medicine for your health, then. That is prescribed, and here I put on my shastri hat. My mom in law is here, and this is so her kind of dish. Looks delectable Alka, as usual. We too make curry with leftover chapatis, next time would love to try your version..sounds delicious! For losing weight i would suggest you to start yoga, i have seen people loosing oodles of weight becoz of power yoga, if i m not wrong power yoga basically consist of repetitions of surya namaskar. I have recently brought a book “Dont Loose Your Mind, Loose You Weight” and i think its really a nice one, do check out! hey.. BTW…. why not i am able to access few pages.. in happens with few recipes.. like dal puri.. it says page not found when i try to access it thru recipe index… seems the migration to this new site is not complete yet properly…. Wow! my mom’ll make some tomorrow!! its always yumm, my friends drool over it too!! Thats a great way of using left over food…awesome! this looks so yummy,new for me,…and ya happy holi,.. I ate a similar dish made with stale leftover hamburger type buns Quite tasty. Long time no see..hope All is Well ! If I ever had leftover roti’s I would definitely try this 😛 Looks tasty! It looks like a star in its own right. I cook something similar for the kids lunch box (I add an egg to the mix) but don’t add water. Will give this a a try the next time. Hi, this looks really good! And it certainly looks like a fine way to use leftover roti- I had been wondering if there was such a dish- will surely come back to this recipe! In regards to lethargy, I have that too. I have come to the realization that I am a “hypoglycemic” which means my blood-sugar level drops too low at times…and I feel tired, a little “spacey” with no energy and sometimes very crabby; my body aches when I first wake up. I’ve found that eating small meals throughout the day- about 4 hours apart- helps a lot. Also, I try to avoid “simple” carbohydrates like sweets, white flour/maida, potatoes, arbi, etc. These give me an instant burst of energy that quickly falls and then makes me feel tired. I do eat white rice, but only when it is eaten along with complex carbs like veggies, legumes, etc. Brown rice is better, I know, but I don’t like it all the time. Hope that helps! Thanks Dear, I am feeling better now , after learning that I am not alone in this battle. My sugar levels too drop frequently and I feel queasy and giddy often if I tend to skip meals.Thankfully the situation comes under control soon after consuming any sweet(generally a chocolate). Regarding simple carbs, then I am on my way to curb these.Rice too is either once or twice a week.And its always with dal/legumes/ veggies and Roti…never just rice at any meal. 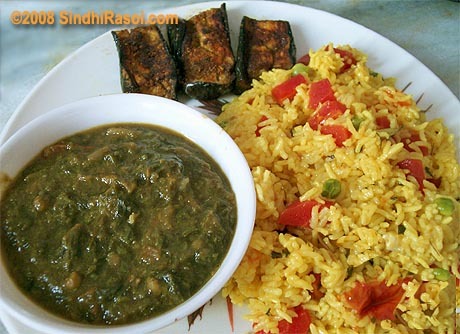 I have been looking for recipe for Seyal Phulka for 18 years,since my Mother passed away at that time,I am not positive but I think my mother used more garlic and lot more Corriander leaves but no Corriander powder.I am 100% Positive your Recipe will be delicious because I have tried lots of your Recipes in last one year and every one of them is yum-yummy. Thanks Kishan Ji, for letting me know this.You can use more garlic if you want to, and more coriander too.But I guess the recipe you are talking about is the one like we make GOBI ALU, I mean that type of gravy is like green gravy with coriander leaves and Garlic.The one I posted is tomato garlic curry, where coriander leaves are used just for garnishing and not as a base of curry.Hope this clears your doubts. Delectable looking Seyal dish. Beautiful photo as well. Must try when I have leftover chapatis. We too are confused over that.Some say that its meant for those who are into body building, some says its necessary to aid body for wear and tear during and after workouts, esp. whey protein. I dont think whey protein will taste good on its own, so whats best way to consume it without adding calories. very creative!.. am sure will taste great..